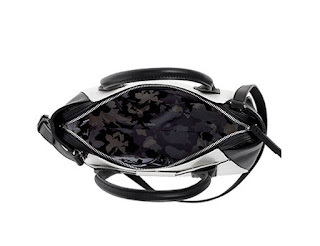 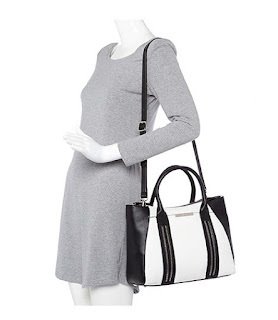 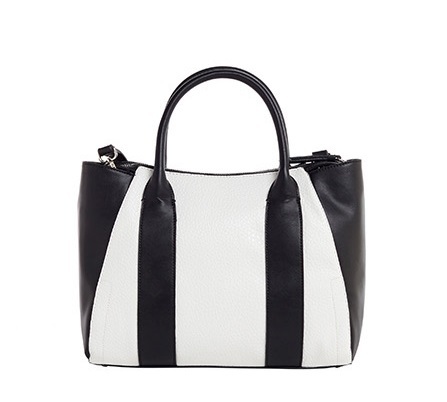 This Nine West shoulder bag with a front compartment that comes with sleek side zips. 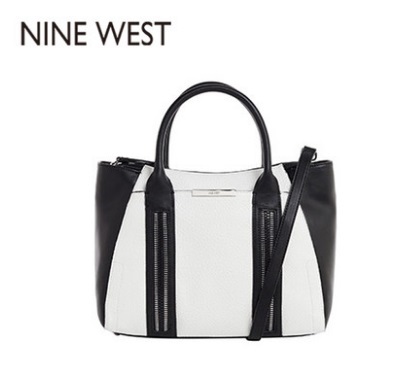 Comes with handles and detachable shoulder strap, the bag is designed in duo colour to match with a flexible variety in summer outfits. 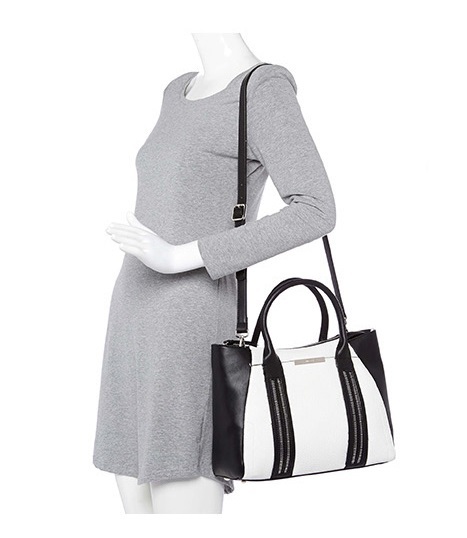 A perfect carryall for both work and play!